Big Brother let them sleep in a bit because of the madness that was last night. The Head of Household redo for Jason and Shelby is tonight after it starts getting dark. Talking being suspicious where Whitney’s loyalties lay. Danielle adds that Justin is not a big game threat to her. Danielle says she has the most comp wins so far this season and she didn’t win anything the first 4 weeks. Danielle – I’m like HEY you don’t know that it could have been us catching a break she might have finished it faster than you..
Kryssie – I don’t think he (Jason) is in a good head space .. he’s not able to look at it like that, last night messed him up really bad because he was f** I was about to get rid of Justin.. I get it I’ve been in his position f*** this I’m going home. Cams switch to Morgan and Shelby in the yoga room, they’re talking about Danielle not wanting to take Justin out last night. They have second thoughts about Justin being able to win this game because he has done so little in the game. Jason and Danielle are the ones that will win because they were involved in more things. Morgan says Kryssie and Justin are the ones we want to take to end, those are the players they have a good chance to beat in a vote. Kryssie – I was disappointed in how I played in the comp..
Jason says he really has to win this HOH otherwise it’ll look like he never won a HOH this season. Feeds cut to another room..
4:01pm Julie Chen tells them trump won the election.. Everyone but Danielle thought Hillary Clinton won. Sounds like they all wanted Hillary Clinton to win. They are all in shock with Donald Trump winning. Jason – gay people where were you.. minorities where are you..
Danielle – the people that typically vote are older white males..
Jason asks if they can live in the Big Brother house for the next 4 years. Danielle says it was a close race. they think something big was leaked. They joke about moving to Toronto. Danielle reminds them there’s 3 branches in the government with checks and balances a lot of crazy thing Trump says he won’t be able to do. Jason brings up the supreme court judges retiring and a lot or Republicans voted for Trump because they wanted to make sure a Republicans judge is picked. They start saying that Monte was a big Trump fan. Shelby and Jason say they don’t care about the emails and DNC corruption they didn’t want Trump to win. Danielle – you need a double term to get anything done. Jason says if he wasn’t in the house he wouldn’t have been able to vote because he didn’t register in time. Jason says he’s Republican but can’t get behind of Trump. Jason finishes up the HOH at least 5 minutes behind Shelby. Camera flips to the HOH 6:52pm Kryssie burps into her mic. They start talking about Noms..
Jason – I don’t deserve to be here..
Kryssie thinks Morgan will be America’s nom. Kryssie – it’s not over till it’s over..
Jason doesn’t think America will nominate Morgan it’ll be more interesting for them to see the LNJ break up. Jason – yeah.. theres only 2 of them. 9:15pm trying to figure out the Trump victory while they wait for the HOH room..
Holy crap Simon, Don’t ask political questions. This is where we come to escape that madness. AHHAHA I figured because things will be slow until the HOH it’s something light to discuss.. I removed if after like 15 minutes watching a couple YouTube didn’t realize things were so charged..
look up the 2016 election county map, Red dominates the US with a little blue sprinkled around! Even the so -called Blue states are mostly red! This wasnt a close race like the fake polls and media are leading you to believe. She won the popular vote actually so it was very close. We’ll see who was lied to and there won’t be anyone who will admit to voting for that abomination. Stupid Americans! You don’t seem to understand population density. Danielle says the people who typically vote are white republican males. FACEPALM Then why did we have 8 years of Obama? OMG shes dumb! She’s actually not far off. Looking over the demographics from this election it was older white males and white females that made up the majority of Trump votes. Sure, you know love is blind, and I know love is blind, but I’m not sure the president elect and a lot of his supporters know that, as for months and months they’ve demonstrate exactly the opposite. Yes there are republican people of color, white people dont have a monopoly on that party. There are also republican members of the LGBT community that support him and a lot of women as well, even after hearing the many demeaning and disgusting things he’s repeatedly said about them. But when you look at the votes and break them up into groups you’ll see male white voters on top and female white voters just under that. I would love nothing more than to stop playing the race card but if we continue to deny racisms existence we’re never going to fix the problem. Aaaand sorry for the political post. I’ll leave it off now. So will there be an America nomination this week or ever? Honestly this week we proved as a country we can’t be trusted with nominating and voting for people so maybe America should sit the rest of this out. Yes, there is an AN vote! Unless they decide to change it. At first I wanted Dani to get CP but our best bet is for her to get AN this week. Dani and Jason are actually working together against Justin & Krissey. That away CP can go Justin. Sending positive vibes to Shelby, you got this girl… Need to send one of the other side home next week. Doing the ball smasher dance for victory!!! So, proud of Shelby! Just don’t let them fool you again!! I hope Morgan wins. All that are left annoy me. Just going to put this out there, if the DNC didn’t rig it for Hillary to be the nominee, Bernie would have beat Trump. I didn’t vote for either, I am a Libertarian. I don’t think Bernie would have beat Trump. Bernie’s ideas were to socialist and the older demographic would be put off. Metrics say that Trump would have beaten Obama is ’12, don’t think America would have felt the bern. Way to go Shelby!! Assuming she puts up Jason/Justin who are ppl voting for AN? Danielle for .Americas Nom for sure!! Or Jason!! Go Ballsmasher bikini girls!! Simon we need to send Kryssie home as AN. She’s so gross always burping!! Please please AN Kryssie!! Thoughts? 4 Kryssie to be American’s nom? I don’t want Morgan to go home on Shelby’s HoH, that girl has worked hard all season! I’m hoping there is no americas nomination anymore! 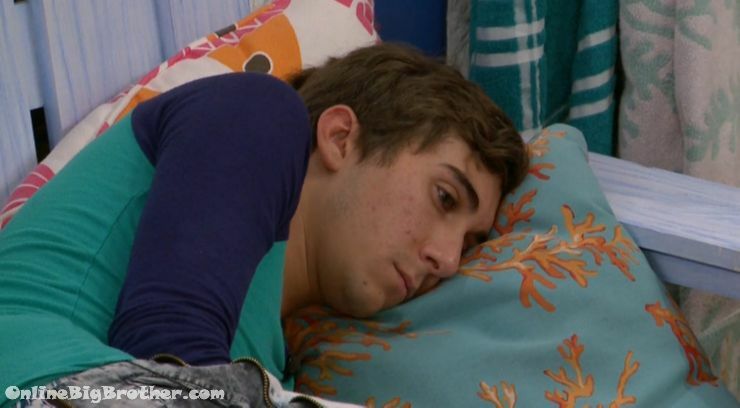 Because scenario: if Shelby nominates Jason and Danielle. America nominates krissy and then Justin wins veto and takes down Jason! Morgan would have to be the renom! If there is an americas nom, it has to be Justin! Because Krissy ain’t winning no veto! 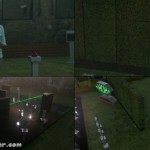 Hopefully Danielle can get the veto a secure her safety! Then we send Justin packing! I’m a BS fan so I really want to see the girls make it but even if I weren’t I still wouldn’t want to see a 4 on 1 game. Especially this group.. I really hope Morgan doesn’t get AN but it’s scary bc of how this America vote has worked thus far… It sounds like she may put up Jason/Danielle so I’m voting Kryssie for AN. But hoping Jason or Danielle go home. Funny how they are all hanging out on the couches eating pizza together. If LNC had won the HOH, LNC wouldn’t be in the same room with them. I really hope America’s nom isn’t Morgan, the other side needs to lose 1 more number, so be right and fair America. Not totally sure who Shelbie is putting up? But I know I am not aiming at Danielle or Jason, while I don’t like them, they have been playing a good game. My aim is for the 2 that hasn’t done much and that will be Justin and Kryssie. Ultimately I think I’ll vote to nominate Kryssie. Trump is going to be a blessing in the White House because he can’t be bought by the NWO. God is putting his hand on Trump to get out the Evil corruption that has been ruling Washington. He was waiting for the right man to have courage to stand up to them. He seems brass at times. That’s what it takes to stand up to these people. He is not for sale and that scares them. 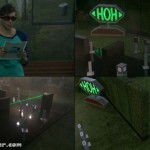 The HOH redo was very similar to the election! Rigged with plenty of dumb excuses, yet rigged to the core.